Adobe Photoshop Lightroom software makes it easier for photographers to organize their images. But computers aren’t exactly the most user-friendly devices to use that software with. 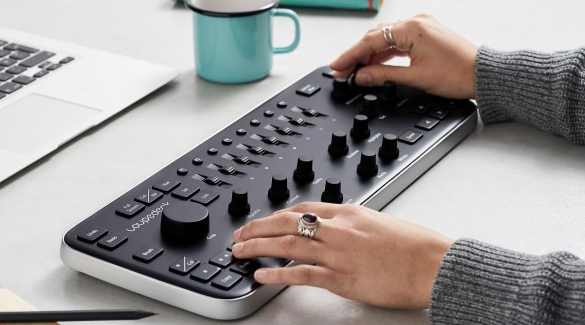 Loupedeck is a photo editing console for Lightroom complete with knobs and sliders that makes photo editing faster, improving efficiency and allowing users to be more creative with their images. It replaces the mouse and keyboard, and works seamlessly with Macintosh and Windows operating systems. The device ships in June at future pricing of $399. But Indiegogo backers have been able to order one for a pledge starting at about $157 for early birds. Its makers hope to raise about $79,000 by Dec. 2. Loupedeck is targeted at hobbyists, serious amateurs and professional consumers, its makers say. That would be pretty much anybody who uses Lightroom only, so other consumers — including those who use other photo editing software tools — need not apply. But compatibility with unspecified rival photo editing software tools is planned. Those who want a wireless version of the console are also out of luck, for now anyway, as a cordless Bluetooth version isn’t planned, but has not been ruled out.